The temptation to use multiple cloud providers is obvious, especially for larger businesses with boatloads of data and applications to manage. Split your services between different cloud companies, and you can avoid vendor lock-in, as well as see the providers' different features and capabilities. Businesses have suffered from lock-in with platform providers such as Microsoft and Apple, particularly in the 1980s and 1990s. Veteran IT administrators don't want history to repeat itself. In a multicloud environment, a business can choose which applications to send to which cloud. A particular application might be best suited for Amazon Web Services because of a particular feature AWS offers, while a different app will be well-served on Microsoft Azure. And there are often apps that should remain on premises. 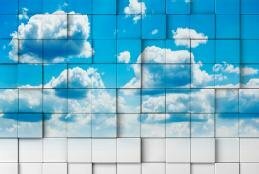 That makes multiple cloud providers an appealing option. However, it can be a challenge to manage multiple clouds, and in this handbook, cloud expert David Linthicum examines the issues. Businesses quickly find that using multiple cloud providers means management tasks intensify, and good luck if you want to collaborate across different clouds. Think of it this way: If a married couple owns one car, there could be disagreements about who has to take the bus to work, or who gets to use the car for a shopping trip when the other spouse wants to go to the movie theater. Buying a second car solves those problems, but now the couple needs another parking spot and has twice the car repairs to think about. Businesses that use multiple cloud providers want to avoid vendor lock-in, but should also make sure they don't spread themselves too thin and add more headaches than they're curing.